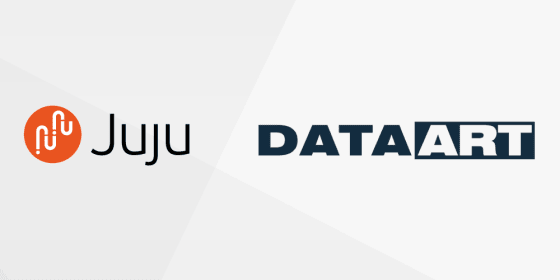 NEW YORK and LONDON, U.K. Oct 19th, Canonical and DataArt announced today that DataArt will use Juju for the model and management of “Big Software” implementations such as Network Function Virtualization (NFV) solutions for Telcos and Enterprise. DataArt, a global network of independent technology consulting and software services firms, also becomes a Charm Author Partner and Systems Integrator. By providing charms to the Juju Charm ecosystem and creating a new NFV Telco bundle DataArt empowers clients deploying the new charms to scale telco infrastructure both horizontally and vertically, a true service on demand to its customers. Customer demand has forced Telecoms to fundamentally change their business models, becoming more like “over the top” and cloud service providers than traditional telecom operators. NFV has become the go-to solution to address these new realities and DataArt’s services will enable telcos to rapidly shift legacy platforms and infrastructure and deploy revenue generating services at scale. Juju Charms have become an established ecosystem of best-in-class applications which use shared, open source operations code for common components, so CIOs can focus precious resources on creating software that is unique to their business. Whether companies want to spin up an OpenStack cloud or manage a big data cluster, or if they are interested in container orchestration or machine learning, the Juju charm store includes open source and enterprise software solutions that dramatically simplify operations for those classes of big software. If you are attending OpenStack Barcelona next week, Canonical and DataArt will be demoing solutions at booth B24. Please stop by to learn more. DataArt is a global network of independent technology consulting and software services firms that create end-to-end solutions, from concept and strategy, to design, implementation and support. We help global clients in the finance, healthcare & life sciences, travel & hospitality, media, telecom, and IoT sectors achieve important business outcomes. Rooted in deep domain knowledge and technology expertise, DataArt designs new products, modernizes enterprise systems and provides managed services delivered by outstanding development teams in the U.S., UK, Central and Eastern Europe, and Latin America. As a recognized leader in business and technology services, DataArt has earned the trust of some of the world’s leading brands and most discerning clients, including Nasdaq, S&P, Coller Capital, BankingUp, Ocado, artnet, Betfair, Skyscanner, Collette Vacations, Booker and Charles River Laboratories.